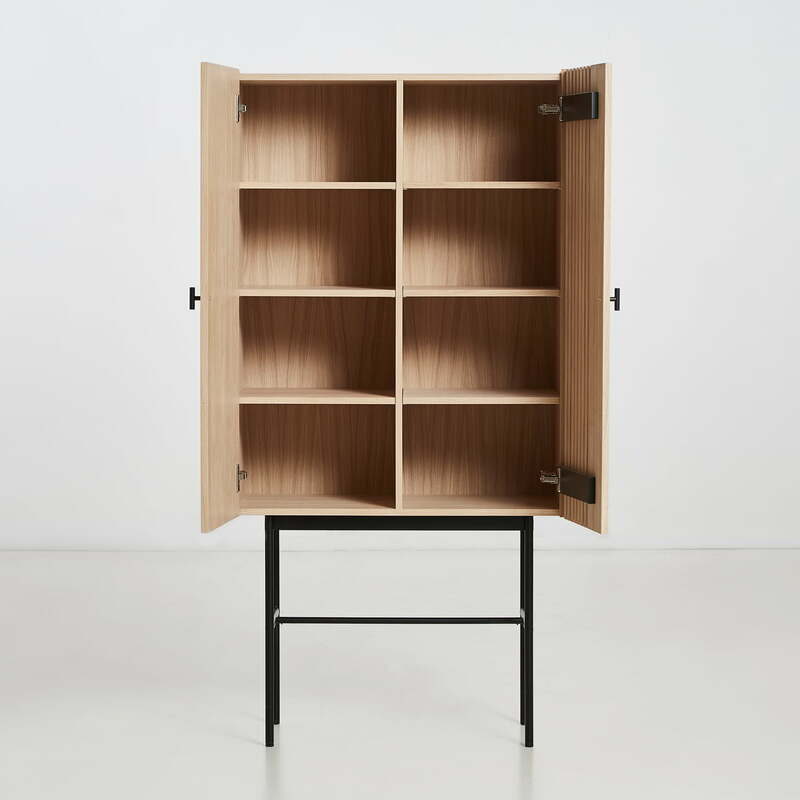 Woud's Array Highboard was designed by Says Who. The design studio was inspired for the cabinet by wood slate cladding from modern architecture. 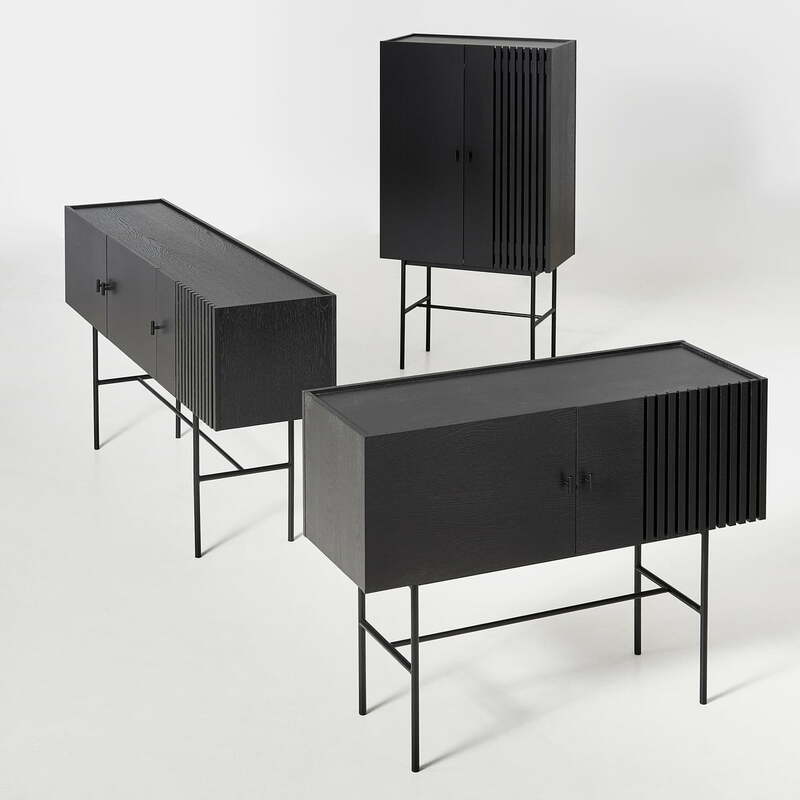 The high storage consists of a filigree frame made of lacquered steel. On the frame there is a cabinet module made of oak wood with two doors. One door was decorated with vertical grooves. 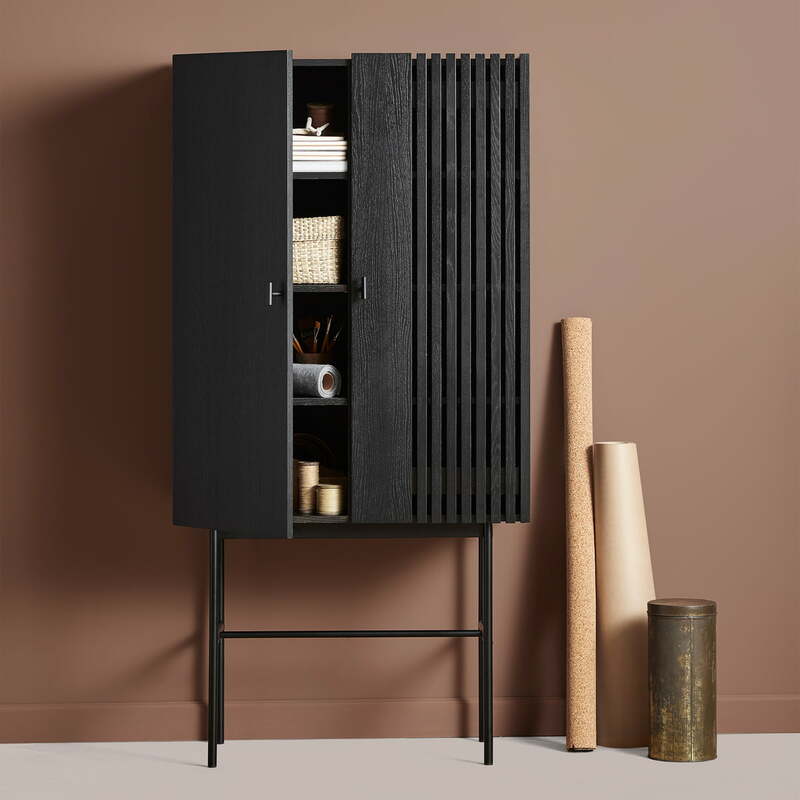 The grooves give the cabinet a beautiful depth and the visual effect of light and shadow arouses the curiosity of the observer. The filigree frame and the grooves provide for a certain lightness, whereby the Highboard fits well into every room. Inside the cupboard there is space for a wide variety of things on eight levels. 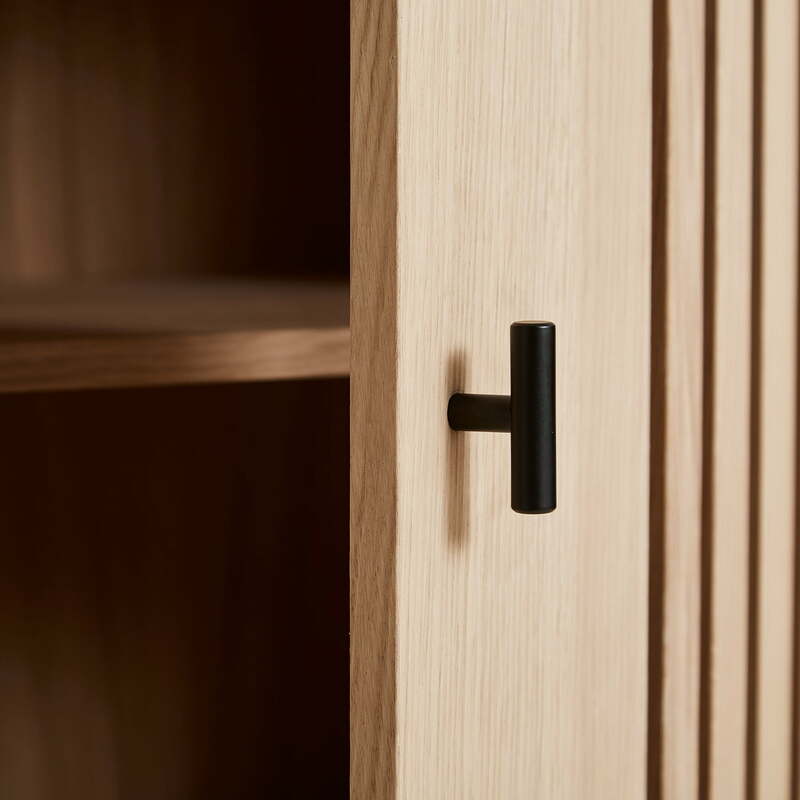 Files, books, crockery and much more can be stored discreetly in the highboard. The Array Highboard from Woud is available in different versions and also as a low sideboard. Array Highboard 80 cm in oak from Woud in the ambience view. 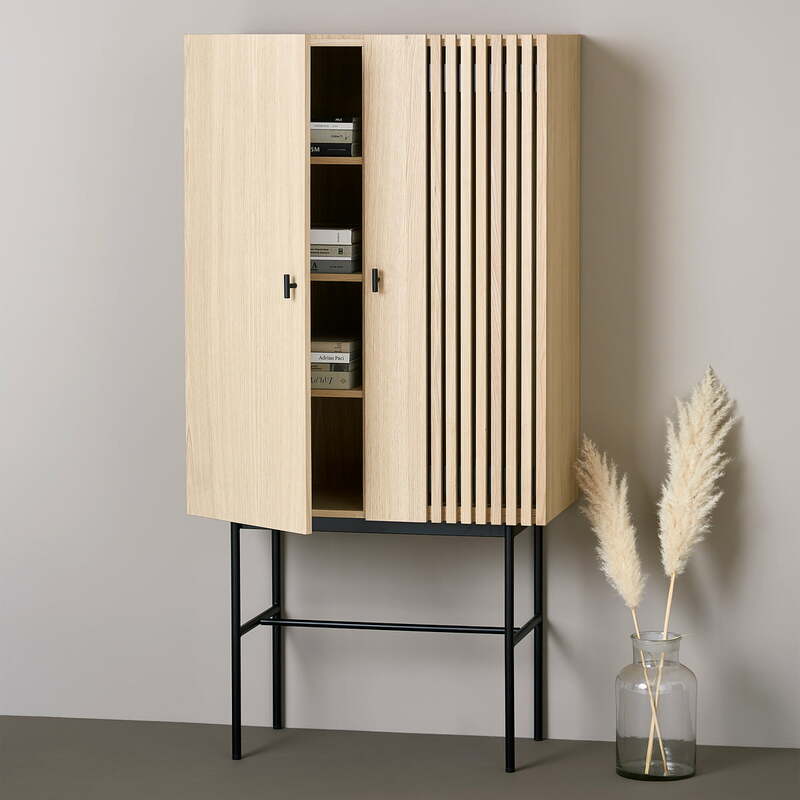 The Array Highboard offers a lot of space on several levels for files, books or crockery. Array Highboard 80 cm in black from Woud in the ambience view. The Array Highboard offers a lot of storage space. 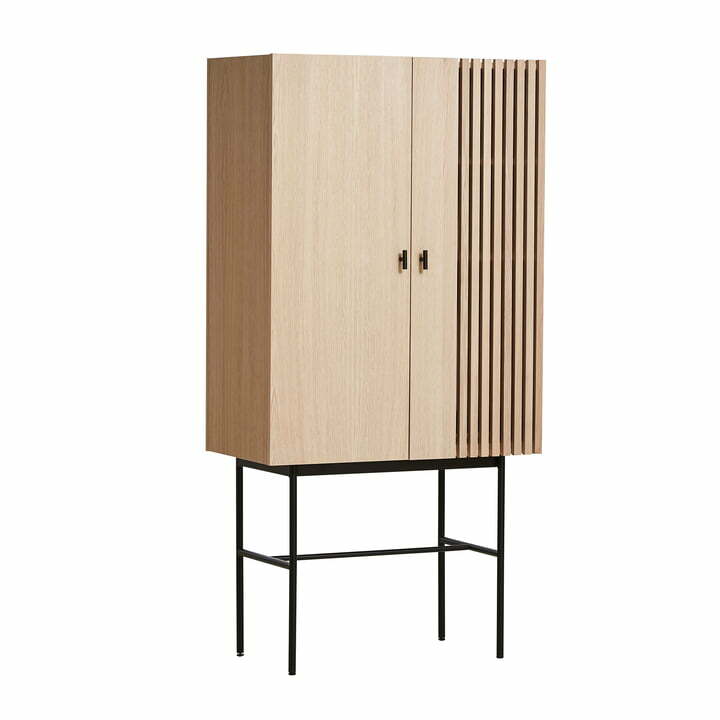 The highboard is made of oak veneer. The frame is made of steel.